Blu-Mol® Xtreme Tri-Cut Tungsten Carbide Tipped Hole Cutters feature three distinct cutting edges for balanced cutting, longer blade life and heat resistance. For cutting thick steel, iron, aluminum, steel plate, pipe and stainless steel up to 1″ (25mm) thick. 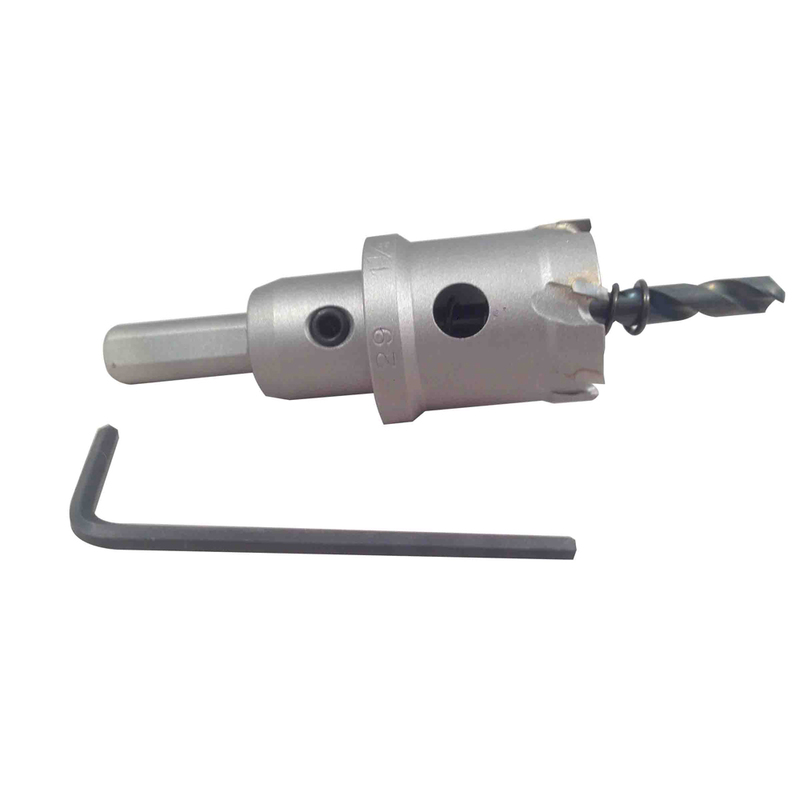 For cutting thick steel, iron, aluminum, steel plate, pipe and stainless steel up to 1″ (25mm) thick. Safety collar stop prevents over-cutting for safer and faster performance. Side hole effectively removes chips for added speed of operation. 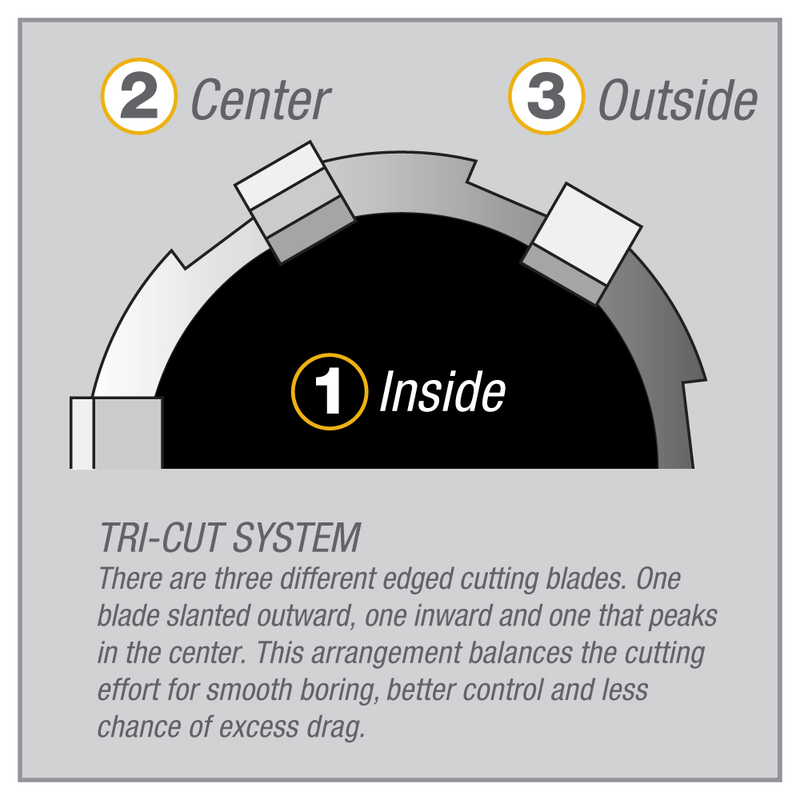 A set of three cutting edges balances the cutting for long blade life. Special tungsten carbide tips have long edge life and excellent heat resistance. Solid uni-body construction eliminates play between the shank and the body, resulting in sharp, crisp, smooth cutting.